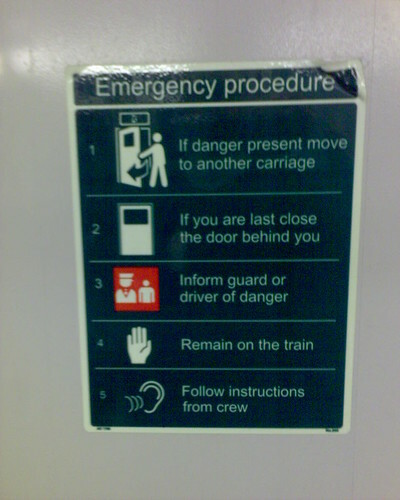 Sign from a carriage of a State Rail train in Sydney. What if the danger wants to follow you to another carriage, are they the last and should they close the door behind themselves? This entry was posted in Photos and tagged danger, public transport, sign, train. Bookmark the permalink.